If you have cable (Cox) or satellite (direct TV, dish or other providers) you will need an indoor or outdoor antenna. Click to download ACTV APP NOW! It’s Vegas with Lani is the first mainstream travel and lifestyle TV show featuring Las Vegas, hosted by an Asian headliner. It gives both the local and global audience a new perspective of Las Vegas by presenting it as a beautiful, exhilarating destination. 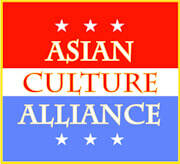 Get to know the proud members of the Asian Culture Alliance, and how they contribute to the betterment of the Asian-American Community of Las Vegas. ACA Events: An important show for locals and visitors alike. Get to know great things happening in the Vegas Valley each week. It’s the Asian Community Calendar of Events. Get to know the 48 Flags of Asia and what each one represents. It start s with an Asian map, zooming in to the location of the Country being featured, which shows the name of the Country. Background Music will be the National Anthem of the Country. 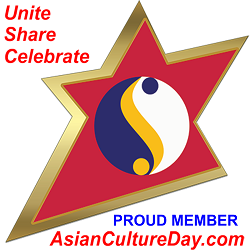 "A wonderful platform for all"
"Thank you for keeping our cultures alive and well"